For the first time in a century, Republicans are without a presidential frontrunner—or even a logical suspect for that distinction. It’s a historic vacuum that has prompted stirrings among a veritable roster of colorful, ambitious—and unlikely—White House aspirants. The cast of characters includes a popular conservative neurosurgeon with the habit of making outlandish political pronouncements; a New Jersey governor whose main personality trait is in-your-face aggression; a freshman senator from Texas loathed by his peers and whose idea of high jinks is shutting down the government; a Kentucky libertarian who barely tolerates the idea of a standing army; a Baptist preacher and Fox News host better known for his weight-loss book than his stint as governor of Arkansas; and a former a Florida governor who hasn’t held office in eight years and would (a) be forgotten by now or (b) have been president already—if he wasn’t the son and younger brother of two previous presidents. But a name less likely than Jeb Bush, Mike Huckabee, Rand Paul, Ted Cruz, and Chris Christie—one almost as unlikely as Ben Carson—is being floated. That name is Mitt Romney. I’m not saying that because Romney lost to Barrack Obama. To unseat a sitting president is difficult. Nor is it because Romney proved such an ineffectual candidate. Yes, his team ran a boring convention, produced no memorable speeches, allowed Democrats to define their guy, and had trouble coming up with any rationale to vote Republican aside from their dim view of Obama’s presidency. It’s also true that Romney chose a running mate who couldn’t help him carry a single state or constituency; went out of his way to alienate Hispanics; and displayed the strangest verbal tic: He kept reminding voters that he’s fabulously rich. These calculations get complicated. Although he was a California guy, Richard Nixon was ostensibly practicing law in New York, a state he did not carry, when elected in 1968. Abe Lincoln lost his native Kentucky, but won his adopted state of Illinois. Likewise, Woodrow Wilson was born in Virginia and raised in Georgia, two states he won while losing New Jersey, a state where he’d been governor. Those exceptions only prove the rule: A politician is expected to have the support of the people who know him best. If Al Gore carries Tennessee in 2000, he doesn’t sweat the Florida recount. Which brings us back to Romney. His residence and his 2012 headquarters were in Massachusetts, a state he was never going to carry. Did he have a choice? Sure he did. He could have been back in Michigan by then, putting his money to better use. He was born in Detroit, where his father, George, was a successful auto industry CEO and Michigan governor. Mitt went to Stanford and Brigham Young; after his Mormon mission, he married, then went to Harvard for his MBA and a law degree. He and his wife settled in the Boston area and raised five sons there, while Romney went into business and made his pile. So Massachusetts was his adopted home and the state that elected him governor. But he was never going to carry the Bay State in a presidential election. Michigan went for Barrack Obama, too, twice. It didn’t have to be that way. In an alternate universe, Romney might have flipped that state. He certainly could have changed the 2012 conversation. By 2008, it was clear Detroit was in trouble. It still is. But let’s go back in history for a moment. It’s November 2008. John McCain has just lost to Barack Obama. Mitt Romney had run for the Republican nomination in that cycle, too. It cost him $44.6 million—the amount he’d loaned his campaign—but it did not dissuade him from wanting to run again. 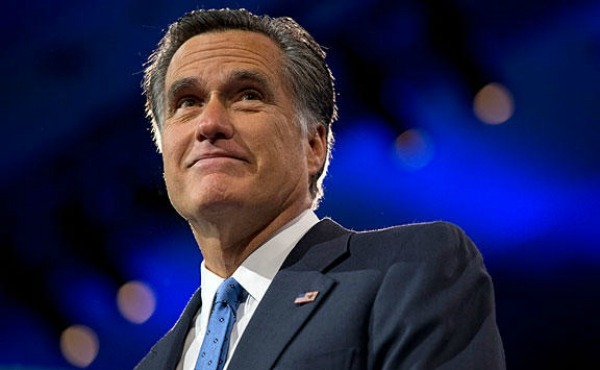 To position himself, Romney did what professional politicians do these days: He wrote a memoir, penned some op-eds, and campaigned for fellow Republicans. All this helped him secure his party’s 2012 nomination. It did not position him to win the general election. In our time travel, it’s right after the 2008 election. Instead of writing an op-ed for the New York Times with that fateful headline (“Let Detroit Go Bankrupt”), Romney is meeting with Detroit Mayor Kenneth Cockrel Jr., future mayor Dave Bing, and Michigan Gov. Jennifer Granholm. Mitt makes a simple spiel: “I’m moving back to Detroit,” he says. “This city was great once. It can be great again. I just wasted the better part of $50 million running for president. I have another $50 million that I’m willing to use creating jobs and opportunity in the city of my birth—I can raise a lot more—and I have the business expertise to make sure it won’t go to waste. Another native son of Detroit, Washington-based political writer Ron Fournier, recently visited the city and wrote how the current mayor, Mike Duggan, quips to various prodigal sons, “Thanks for coming, leave your money.” What he really wants is for people who got their start in Detroit to return with their money. Mitt Romney didn’t do that in 2008 and he didn’t do it in 2012. He could still do it now. Then, he’d be worthy of being back in the political conversation.